The discovery of vast natural gas reserves in the 1880’s in the Muncie area attracted businesses that could take advantage of the cheap source of energy. Most notably, the Ball brothers moved their famous Ball Brothers Glass Manufacturing company in Muncie. With the influx of new money and citizens, the downtown core could no longer provide enough land for residential development. The local developers at the time then looked east and what is now know as the East Central Neighborhood was born.The new industrialists in the city constructed many of the early homes. As a consequence, these homes were often large and ornate. By the time the gas reserves were largely exhausted in the early 1900’s, the size of the newer homes were smaller and less grand. This history created the eclectic mix of housing sizes and styles in the neighborhood.As the bulk of the houses in the neighborhood were constructed in the 1880’s and 1890’s the predominate style of architecture was Victorian. Later infill construction provided some Arts and Crafts homes. The East-Central Neighborhood is home to two different historic districts. 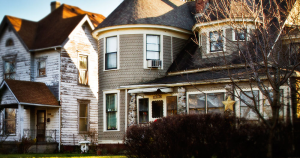 The Emily Kimbrough Historic District was established in 1976 as a City of Muncie historic district and was added to the National Register of Historic Places in 1980 (the area of the district was expanded in 1989). The Kirby Historic District was placed on the National Register of Historic Places in 1999. 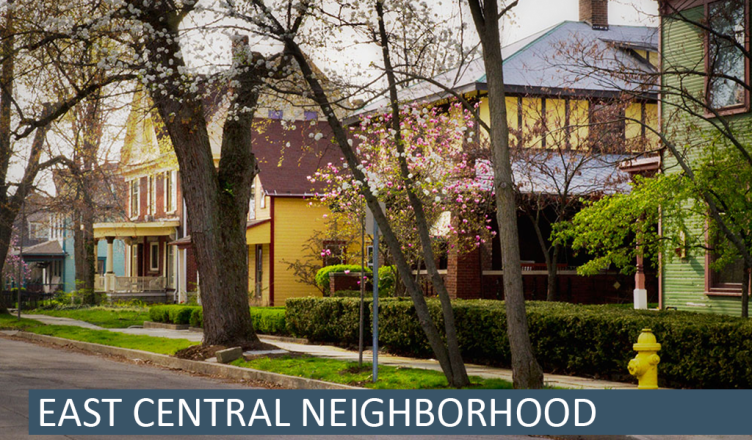 The East Central Neighborhood Association Board of Directors meets every second Thursday at 7:00 pm at the Emily Kimbrough House (715 E. Washington St.). The meeting is open to the public. 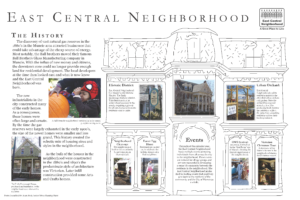 The East Central Neighborhood Association’s full membership meeting is a chili supper held every third Thursday in October at the Main Street Methodist Fellowship Hall, 115 S. Pershing.